Looking to build on the beach front? Keen to capture that ocean view and breeze? 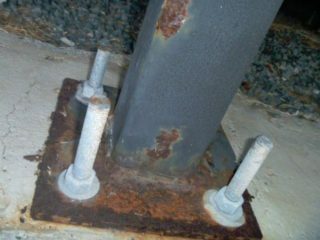 Don’t forget to “shore” up your structural steel, or else you may have to “wave” goodbye to your building. This startling image of a site recently discovered by the QBCC serves as a gritty reminder of how corrosive the air in ocean suburbs can be. Found not more than 500 metres from breaking surf this footing was installed without the proper corrosion protection, and is now compromised. Take a peek at the image here, or learn more about the relevant Building Code of Australia here.